Telefonica‘s startup accelerator Wayra inaugurated its Academy in Lima yesterday. This academy will play host to the ten teams Wayra shortlisted last October. According to the Academy’s director and Peruvian entrepreneur Juan Francisco Rosas, the competition between projects in Peru was even more intense than in the other countries where Wayra is already operating, from Colombia and Brazil to Spain. As a matter of fact, Wayra received a whopping 1217 applications in Peru, its record so far. This tells us two things; there are many more technological projects in Peru than one might have expected, and there was a huge lack of support for them – hence this huge demand for acceleration. At the moment, Wayra is one of the very few structures to support Peruvian startups and the only accelerator outside universities. However, interesting initiatives have emerged over the last few months, such as the entrepreneurship community Lima Valley and the networking events Lima Tech Meetup and First Tuesday Peru. From training to angel investing, the American Kate Mulder is one of the key people trying to give the local startup scene the boost it deserves. Mulder first visited Peru in July 2010, and was so impressed with Peru’s culture and entrepreneurial spirit that she came back for good in 2011. Since then, she has been working on building a bridge between Silicon Valley, which she knows well, and this emerging country. 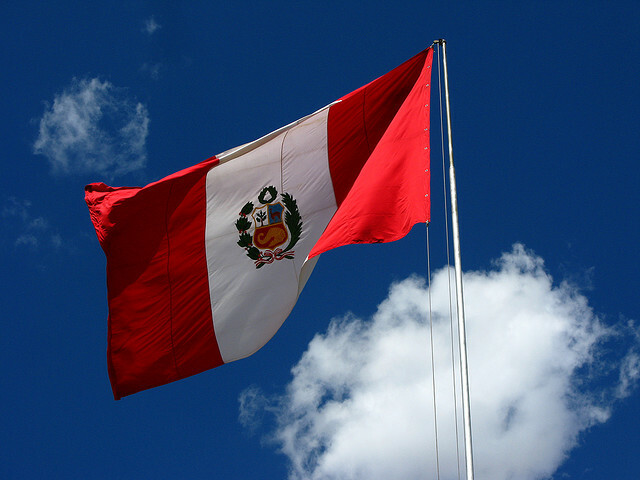 The bridge goes both ways; while helping foreign companies bring their products to Peru and find local partners, Mulder is also spreading the word about Peru on the English-speaking websites Living in Peru and Peru This Week. More importantly, she is working on attracting foreign investment to the country, while assisting the creation of a local angel investing group. One of the difficulties Peru is facing is that there aren’t many angels with an entrepreneurial profile. There’s one specific reason for that, which is the fact that the country doesn’t have many serial entrepreneurs yet. When they exist, they don’t necessarily know how to give back to the tech community, though things are starting to change. Being a mentor, for instance, is a great way for experienced founders to share their knowledge with young startups. In that sense, Wayra is helping a lot of people make their way out of the woodwork, Mulder says. The academy’s director himself is a good example; Rosas founded peru.com in 1998 with his brother, and sold it to the media group El Comercio in 2009. Arguably one of the most knowledgeable persons about the Internet sector in Peru, Rosas explains that the site he still commands had huge successes; at one point, it reached 3.5m unique visitors per month, making it the most visited website in its home country at that time. Yet, he doesn’t try to hide that he also went through harder periods as a digital entrepreneur in Peru, and he’s happy to talk about them with young entrepreneurs – a refreshing approach in a region where failure is still a taboo. Besides its director, Wayra Academy will also receive support from other mentors such as Microsoft’s former director for Peru Luis Torres and the serial entrepreneur Manuel Vega, who co-founded Deremate.com, acquired by MercadoLibre in 2005. Lindexa, which focuses on analyzing customers’ feedback on blogs and social networks. While the list obviously includes some of Peru’s most interesting early-stage startups, it’s worth mentioning there are other interesting digital companies in Peru that aren’t part of Wayra, such as the education startup Cursostotales, the Q&A platform Pregunta.pe and the streaming company Alterlatina. For the next months, the ten teams will be working from Wayra Peru’s 600 square meter space within Telefonica’s building in Lima. At the end of this initial acceleration cycle, a Demo Day will give them a chance to pitch their projects to investors, which is of course a great opportunity in a country where finding financing is difficult. According to Mulder, Peru’s relatively small size means that the country is often overlooked. With under 30m inhabitants, it has 4m Internet users with a private connection at home or at work according to comScore’s low figures. Yet, it also means the country represents a market opportunity, as Internet penetration has even more space for growth than in other Latin American countries. One thing is for sure according to those involved: there are huge expectations that Wayra will energize Peru’s entrepreneurs and angels while paving the way for similar initiatives.